Kirk Barker, Stefan Butler, Nigel Cooke et al. Inspired by the same Celtic myths that J.R.R. 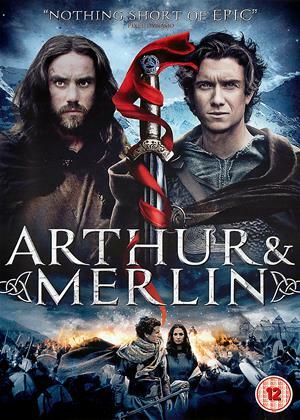 Tolkien (author of The Lord of the Rings trilogy) read as a young man, 'Arthur and Merlin' is an epic fantasy-adventure of good against evil that tells the story of these two iconic characters as you've never seen it before. In Dark Ages Britain, a time of myth and magic, a Saxon force from the East attacks the Celtic people. But the vicious Saxons are not the only threat the Celts face. The powerful druid, Aberthol, secretly plots to destroy them too. He controls the ailing King Vortigem and leads the Celts to their deaths. But hope is not lost. Arthur, a banished warrior, and Merlin, a hermit wizard, embark on a heroic quest to stop Aberthol and save their people.